In such a big industry, it can be hard to figure out what role you want to play. You want to be involved in customer service, in some capacity, but there are several important roles in customer support. Some roles are the same but have various titles (i.e. customer service representative versus client service representative versus call center representative) whereas some positions have the same title but have varying responsibilities in different companies. And what even is the difference between customer success, service, and support? Basically, things can get confusing. Therefore, we have compiled the following list of customer service jobs descriptions and titles to make the job search a little easier for you. What Are Customer Service Jobs? Customer service jobs can encapsulate any job involved in customer service, support, success, and experience. The positions below are all key players in the customer journey, from helping customers make purchasing decisions to providing support post-purchase to helping them understand and implement their products to ensuring their experience is consistently positive the entire time. What Are the Qualifications for Customer Service Jobs? To be successful in customer service, you must have some basic traits. Being empathetic is key, especially when customers are having problems with a product or service they purchased. It's important to see things from their perspective, rather than assuming they are meaninglessly complaining. However, for those times that customers are angry with you, it helps to have thick skin and to let their negative words bounce off of you. Since the majority of customer service is centered around interacting with customers, those in the industry should have strong communication skills and, generally, be people persons. It will make your job way more enjoyable if you treat every conversation as an opportunity to learn something new and help someone new. For more skills to be successful, check out this post on customer support skills. Customer service job descriptions should include details about the mission of a company, the specifics of the role, the requirements and desired experiences for qualified candidates to bring to the role, and the benefits and perks of working at your company. Because customer service roles are typically considered to be entry-level, make sure the description is clear about what experience is a nice to have or a need to have to be successful. For the following customer service job descriptions, make sure the posting is clear about the difference between the qualifications and requirements for the role. At a lot of organizations, customer service roles are considered entry-level, so make sure job descriptions are clear about what experience and training are nice to have vs. need to have to succeed in the role. A level of ramp and training are expected to deliver customer service effectively, no matter how experienced or excellent a candidate is, they have to learn the product and company. Make sure your descriptions also make it clear what kind of attitude and collaborative mindset customer service reps need to succeed at your company. To set your posting apart, make sure the opening couple of line hook potential candidates by tying into the mission of the company and the problem it's trying to solve. Before diving into the specifics of the role, attract candidates with a big-picture, aspirational statement about how the product, service, or job can help people or companies be successful. In the example above, Wag! highlights that the job will involve working in a fast-paced, startup environment on a mission that's meaningful for the target audience -- dog lovers. Next, detail the specifics of the role you're hiring for to make sure candidates know what they're applying for. List the role, the duties, and the responsibilities involved, as well as how successful employees will measure success. In the example above, Wag! describes the root of the role -- customer service -- while putting it into context to continue attracting the candidate to the product and the mission. What's required of the candidate? Next, list the table stakes of the role, as well as the must-haves a candidate should have in order to consider themselves a potential candidate. Wag! does this in the bulleted list above. Make sure you clarify those skills and experiences that are nice to have vs. need to have. If the amount of experience or training required is negotiable for the right candidate or culture fit, make sure that's clear so you don't deter potentially good fits away with a long list of requirements. In the example above, Wag! explains that the best candidates will have certain experiences, but doesn't preclude others from applying so long as they meet the list of other requirements. Close with details about what it's like working for your company -- as well as what your company offers candidates considering other opportunities. Wag! does this by listing benefits, workplace culture, and more in the job description above. Customer service reps work directly with customers. Rather than responding to customer outreach, they reach out to customers and offer product and service solutions, discounts and sales, company news, and other forms of proactive communication. Typically, customer service reps have a certain number of calls or emails that they must hit every day to meet their goals. This role requires remarkable communication skills, empathy, quick thinking, and strong persuasion skills. Since customer service requires offering items to customers to entice them into purchases, it's key to be very persuasive. Remote customer service reps also work directly with customers, but they work from home or a workspace. They might be working on a team of other remote and in-office workers or a fully-remote team. This role requires the same skills as customer service reps. 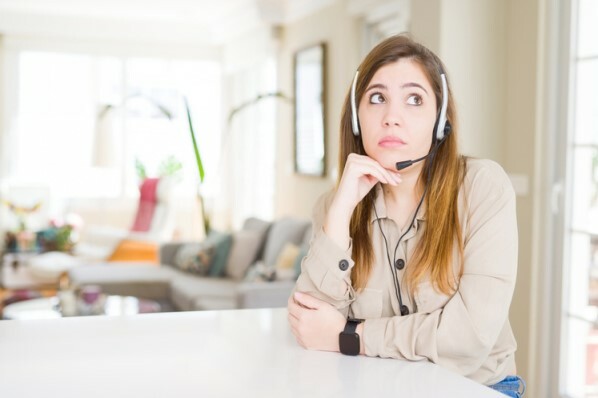 However, remote customer service reps also need to be highly self-motivated and be able to effectively communicate virtually with not only their customers but also their team and manager. Similarly to customer service reps, customer service specialists also reach out to customers with product or service offers. They might also serve as an intermediary between customer service reps and the customer service supervisors or manager and may be equipped to fill in for those roles when necessary. This role also requires great communication skills but also patience and some leadership skills. You may be asked to fill in for the manager if they are unavailable, so it's essential that you are prepared to be in a leadership role. Customer service engineers specialize in proactively solving technical problems customers might have with products or services. Rather than waiting for customers to reach out with problems, customer support engineers offer tips and solutions for tech products in advance. This role requires a wide knowledge of computer systems, as well as an ability to be persuasive. A background in tech and engineering is probably a requirement, as well as a degree in a related field. Customer service supervisors oversee junior customer service reps or a small portion of the full team. Similarly to a manager, they may answer employee questions and help handle conflicts. There are often multiple supervisors working with a team. This role requires great interpersonal and leadership skills. It's preferred to have prior experience both in the industry and in a supervisory role. You should also be comfortable collaborating with others since there are often several supervisors assigned to a team who work together under the manager. Customer service managers supervise their customer service teams. They train new reps and keep track of their progress. They ensure that their teams understand the company goals and handle any conflicts involving customers or employees. This role requires an ability to communicate eloquently and guide others successfully. You must be able to effectively relay information to others. It's essential to have prior experience in customer service and in a leadership role. It's also good to have a grasp on crisis management. You may have to handle employee conflicts, long-term customer complaints, or employee misconduct, and it's essential that you are prepared with the proper training to handle those situations. Customer support job descriptions should include the details, expectations, and requirements of the role, as well as information about the department and the company, while also making sure to encourage the right candidates to apply by highlighting personality traits and behaviors that suggest success of entry-level candidates don't have any experience. What's expected of the role? If the target audience for an entry-level position are recent college grads or soon-to-be college grads, it's important that the description is crystal-clear for a candidate who may never have applied for a job before. 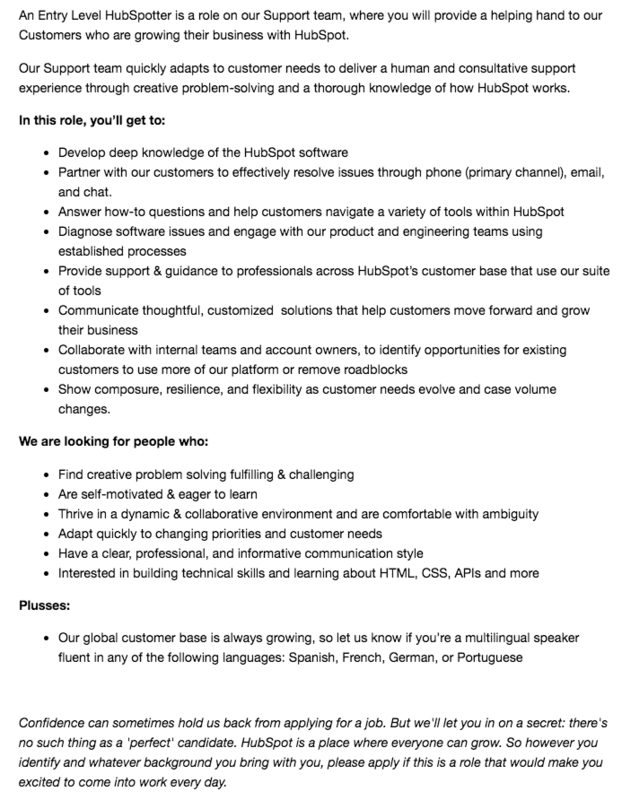 In the description from HubSpot, the listing details the long list of things customer support specialists will be responsible for handling in the role. What's the right personality for the role? This is especially important for customer support job descriptions, as well as for any entry-level job descriptions -- attitude can make or break someone's success. Particularly in a customer-facing role, make sure descriptions are clear about the kind of attitude and adaptability required of a successful customer support specialist, as HubSpot does in the "We are looking for people with" section of the job description. Potential applicants without industry experience might feel apprehensive about applying for a role, but if you're truly open to molding and coaching recent graduates into successful employees, give candidates an extra push to apply, even if they don't think they have the right experience. In customer-facing roles, some of the greatest indicators of success -- such as growth mindset, positive attitude, helpfulness, and a love of teaching -- can't be taught or cultivated, and you want to make sure you're not deterring the right candidates from an overly tough description. HubSpot's nice closing note welcomes all applicants very effectively. Customer support reps work directly with customers. Rather than proactively contacting customers, they respond to customer questions, comments, and concerns and offer solutions to any problems. They provide support on customer calls, emails, texts, social media messages, and live chat messages, or are focused on one specific channel. This role requires outstanding communication skills, empathy, and quick thinking. In customer support, it's imperative that you are able to think on your feet and provide quick, effective solutions. Remote customer support reps also work directly with customers but from home or a workspace. They might be working on a team of other remote and in-office workers or a fully-remote team. This role requires the same skills as customer support reps. However, remote customer support reps also need to be highly self-motivated, since they are often working alone and from the comfort of their homes. Customer support specialists also respond to customer outreach about product or service issues. 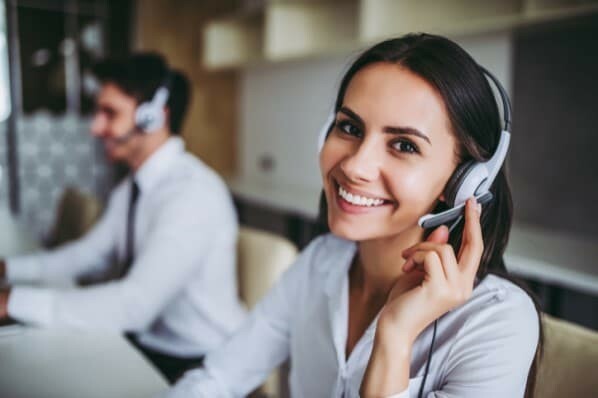 They might also serve as an intermediary between customer support reps and the customer support manager and may be equipped to fill in as manager when necessary. This role requires great communication skills but also patience and some leadership skills. You would need to understand the inner-workings of the team and be able to step up if the manager leaves the room. Multilingual customer support specialists work similarly to customer support specialists. However, they're also fluent in two or more languages and, thus, can communicate with a larger base of customers. This role is key to many global companies who have customers around the world. This role requires the same skills as customer support specialists, with the addition of needing to be fluent in more than one language. The more languages you know, the more valuable you are to a multinational company. Customer support engineers specialize in troubleshooting technical problems customers have with their product or service. They typically record customer data to improve products or services in the future. This role requires great communication skills and knowledge of computer systems. A background in tech and engineering or a degree in a related field is typically a requirement since you will be doing extensive hands-on work with software products. Customer support managers manage their customer support team. They train new reps and keep track of their progress. They ensure that their team shares common objectives and handle any conflicts involving customers or employees. This role requires skills in strong leadership, communication, and persuasion. In order to become a manager, you will most likely need prior experience in customer support or prior experience working in a different for the company. It's also a good idea to be trained in crisis management. Customer success job descriptions should include specific details about your company and industry and your product and the problem it's trying to solve. Additionally, because customer success is a newer and evolving professional discipline, the description should specify which department customer success sits in, its responsibilities and metrics for success, and what qualities and experiences will help candidates succeed. 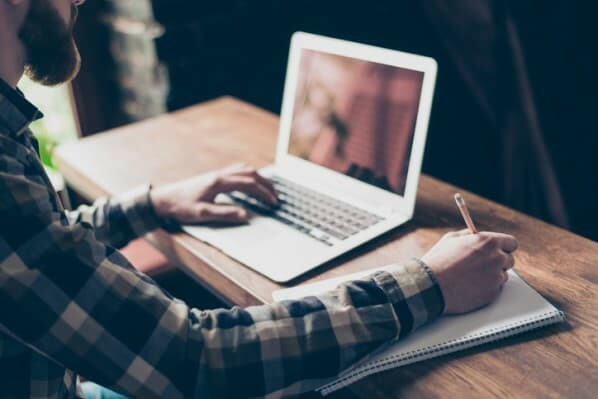 Every job description should include details about the company, but this is of particular importance for customer success job descriptions, where you're screening for candidates with a sales mindset in a consultative role. Detail the mission, the product or service, and the problem your company is setting out to solve. ProfitWell does this in the "Description" section. Because customer success is a relatively new field, make sure the description of the role itself is crystal-clear -- because CSMs from one company to another are not responsible for the same things. Detail the responsibilities, metrics of success, and teams candidates will collaborate with. ProfitWell does this in the "Description" section's bullet points. List the clear requirements for the role, making sure this list is made up of true requirements and not nice to haves. Because customer success is such a relatively new professional discipline, you don't want to deter potentially good applicants from a list of requirements that's too specific. ProfitWell does this clearly in the "Requirements" section. What sets you apart from other candidates? 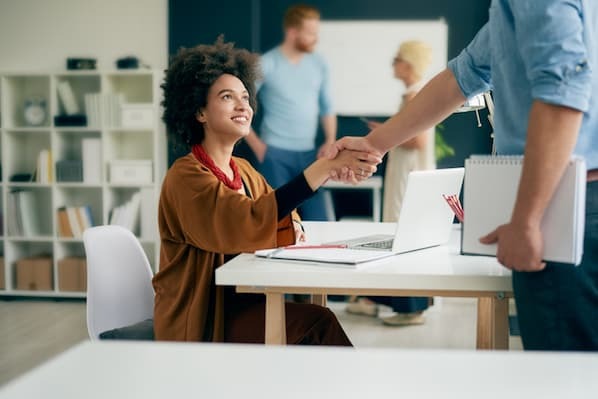 Make sure to detail experience and training that helps candidates distinguish themselves -- such as experience in other company functions, or experience in sales account management -- that suggest the candidate would be a skilled CSM. ProfitWell does this in the "Bonus Points" section. Customer success roles are up-and-coming and popular, so you'll want to make sure your description of your company, benefits and perks, and opportunities are enticing to attract the best customer success candidates possible. ProfitWell does this in the "Benefits" section. Customer success associates work directly with customers, helping them onboard products, set goals, and execute campaigns. They're like consultants to their customers, offering them words of wisdom, tools, and industry knowledge to help them be successful. This role requires outstanding interpersonal and communication skills. In addition, you need to have extensive knowledge of your company's products in order to help educate customers on them. It's crucial to be proactive when giving insights. Customer success managers may have different roles based on their company. They either work similarly to customer success associates or oversee their customer success team. Their goals are to ensure customers learn how to use the software, successfully implement it into their companies, and get the desired results. This role also requires strong interpersonal and communication skills. You may need some managerial experience if you are required to lead a team. It may be helpful to undergo a software training in order to feel confident in helping customers implement their software. Implementation specialists focus specifically on helping customers with product onboarding. They differ from customer success associates and managers because, in those roles, they work as partners and also assist in campaign execution and project management. The role requires an ability to communicate effectively and an understanding of computer systems. It's extremely helpful to have a technical background in order to properly understand your company's products. Customer success team leads supervise their customer success managers. They help their teams understand company goals. Their personal goals are to increase customer lifetime value, reduce churn, and bring in new customers. This role requires communication skills and a thorough knowledge of the company's products. You might need to educate your team on the product and step in when they are having trouble explaining something to a customer. In addition, it's good to be trained in crisis management for this role. Customer experience managers help higher-level executives ideate, design and execute programs internally to both improve the customer experience and encourage the entire company to undertake a customer-centric perspective. They must always try to maximize revenue and minimize costs with their programs. This role requires strong empathy, active listening, and an openness to change. In customer experience, there are always ways to adapt programs and implement new ones, and it's vital that you are always thinking about customer needs and desires. Directors of customer experience are responsible for setting a customer-focused vision for the entire company. They create company-wide policies based on data to continuously improve the customer experience and set overarching goals for their customer teams to work towards. This role requires a tremendous amount of leadership skills since you will be leading all the customer teams within your company. You must also be highly persuasive, motivated, thoughtful, and dedicated to the customer at all times. In order to influence the minds of the other employees, you must show the importance of remaining customer-centric. 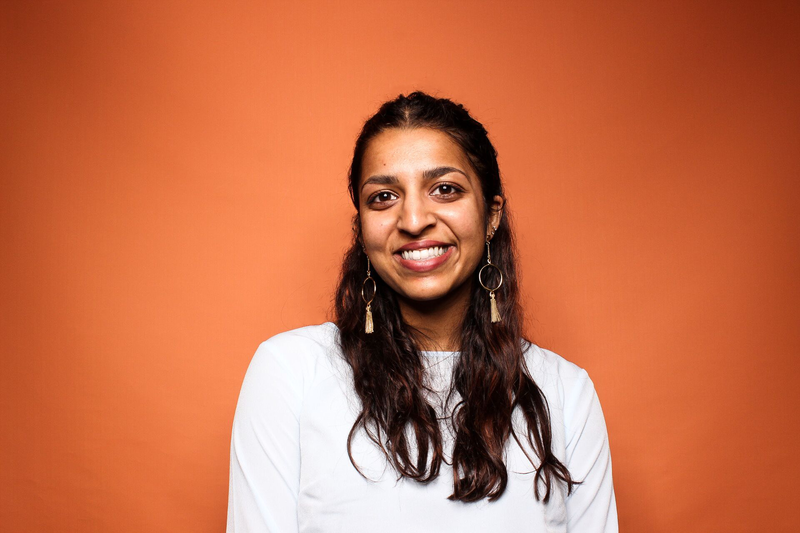 Voice of the Customer is a new role at HubSpot, and this person might sit in Customer Success, Customer Service, Operations, or within the company leadership team. Their job is to represent the voice of the customer within the company to advance customers' best interests when high-level, cross-functional decisions are made and priorities are set. Similar to the Voice of the Customer, a Customer Advocate might sit within Customer Success or Service, or they might sit on the Marketing or Product teams to advocate for the customers when it comes to internal strategy and project management. They might be responsible for sourcing insights from customer feedback and distilling them within the rest of the company. The Chief Customer Officer (CCO) role doesn't exist at every company. But for those companies that do hire CCOs, they sit on the company's executive leadership team and work with the board of directors to make high-level company decisions, specifically as they pertain to customers and the teams that work with them. The CCO's job is to push for customer centricity at every opportunity and to pound the table so customer revenue retention is treated with the same urgency as new customer sales revenue. Next, read this post on customer service and support salaries. Is Your Team Complaining About 'Stupid Customers'? Here's How to Shut Down the Negativity.